Purchase a license AutoCAD® 2019 for as low as $133/month when purchased annually. Request a Price Quote today, and get started designing with AutoCAD® 2019. 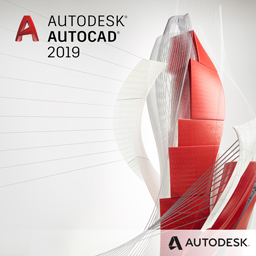 Plus, you can request a free trial AutoCAD 2019 for 30 days before you buy. New & enhanced tools: Create stunning designs and improve collaboration with innovative productivity tools, including importing PDFs and share design view. Trusted 3D design software: AutoCAD has been used by millions of designers worldwide for over 30 years. File compatibility and connectivity: AutoCAD features the reliability of TrustedDWG™ technology (more information below). Beyond the desktop: Users can connect their workflows across integrated desktop, cloud, and mobile AutoCAD solutions. If you’re interested in viewing a software demonstration of AutoCAD®, please contact our sales team. Applied Engineering is happy to schedule a face-to-face or web demonstration at a time that is convenient for you. Contact us if you are interested in purchasing AutoCAD®. An Applied Engineering technology sales consultant can normally have a quote to you within hours of your request. Applied Engineering is authorized to sell Autodesk products throughout the United States and has offices in Minnesota, North Dakota, South Dakota and Wisconsin.